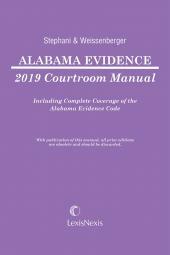 Incorporates complete coverage of the Maryland Rules of Evidence and Maryland evidence case law. 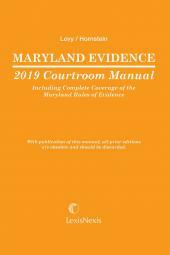 Maryland Evidence Courtroom Manual is the only publication of its kind in Maryland. 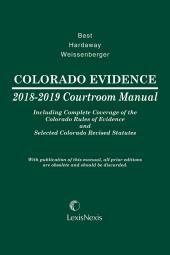 Written by Andrew D. Levy and Alan D. Hornstein, this manual incorporates complete coverage of the Maryland Rules of Evidence and Maryland evidence case law. 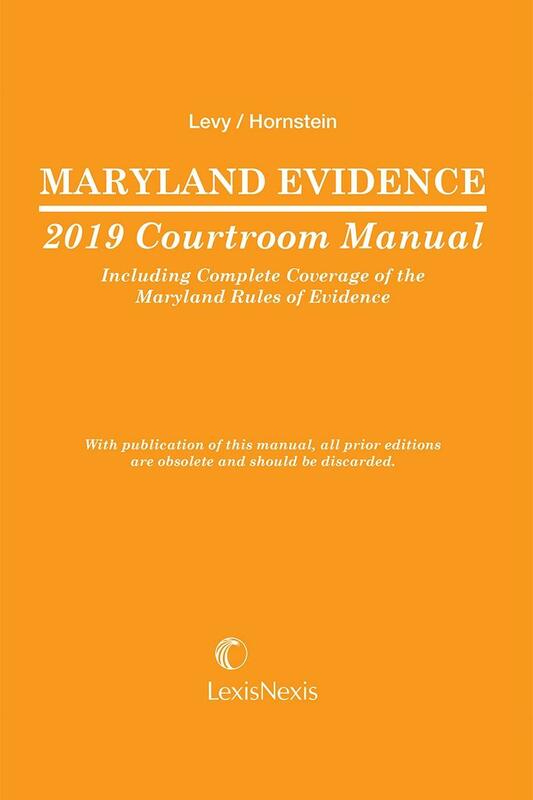 Maryland Evidence Courtroom Manual is designed to provide fast, authoritative answers to the evidentiary questions that arise in the course of trials and hearings. Andy Levy is a partner at the Baltimore-based litigation boutique, Brown, Goldstein & Levy, LLP, where his practice includes a wide variety of civil, criminal, and appellate matters in both state and federal courts. He is listed in BEST LAWYERS IN AMERICA in five categories including White Collar Criminal Defense, Commercial Litigation, and 'Bet-the-Company' Litigation. The diversity of Mr. Levy's practice is reflected in the wide variety of courses he has taught as a long-time member of the University of Maryland Carey School of Law's adjunct faculty, including Torts, Criminal Law, Evidence, Civil Procedure, and Trial Practice. He has also taught Constitutional Law at Stevenson University (formerly Villa Julie College), and he is a frequent lecturer at the Maryland Judicial Institute. 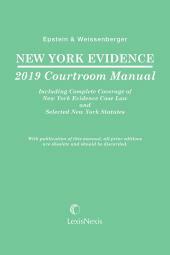 In addition to the MARYLAND EVIDENCE COURTROOM MANUAL, he is coeditor of APPELLATE PRACTICE FOR THE MARYLAND LAWYER: STATE & FEDERAL (MSBA 4th ed.). He is a Fellow of the American College of Trial Lawyers.